This was my first year to participate in the Ravellenic Games on ravelry.com. If you aren’t a raveler, these games are like NANOWRIMO and the Olympics combined. The goal is to challenge oneself and complete projects within the same time limit as the Olympics. I had some successes and some failures. I didn’t complete my most ambitious knit for the games, a BFF Cowl. I did however finish a couple of smaller projects including an adorable bunny from The Green Dragonfly and some sweet Travel Owls by Morning Cup of Jo. 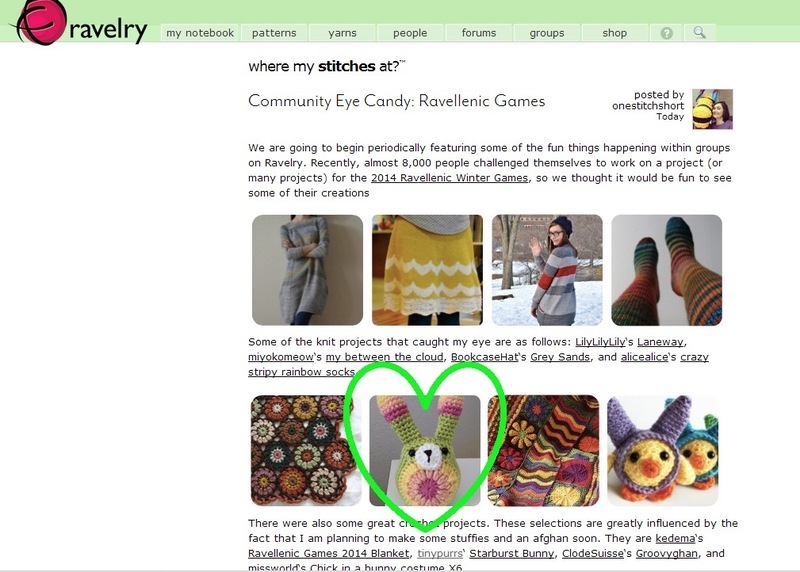 I was really surprised and honored to find my Rav Games bunny was featured on the Ravelry home page on February 24! March 1, 2014. 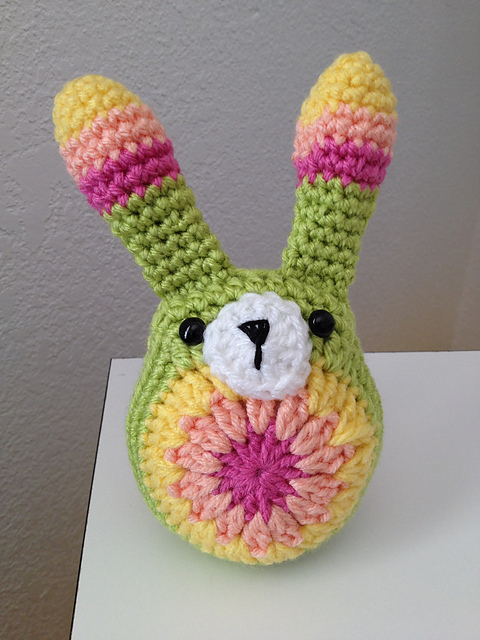 Tags: ravellenic games, ravelry, ravolympics, starburst bunny, tinyowlknits woodlandgames2014. Projects. 2 comments.